I received an email from Jérôme Goldschmidt in January 2014 telling me about his iOS app, PercussionTutor. I was very busy with charts that month so I couldn’t spend too much time checking it out, but I knew I would want to blog about it when I had more time. Two whole years have gone by and the app has seen many improvements since then. PercussionTutor will allow you to approach South American, Caribbean and West-African music in a different way. 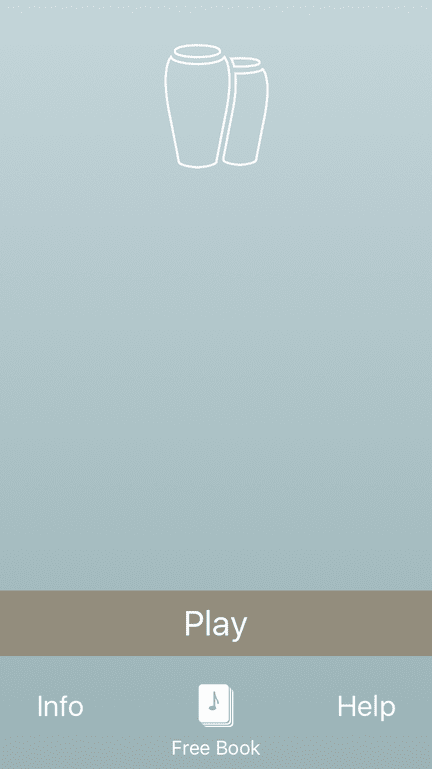 This app offers you more than a simple play-along. We included standard notation, videos and specific claves. We also took the outmost care to capture the natural feeling of all those drumming traditions. For the Cuban Batá rhythms we even developed a random playback engine that will simulate an actual Batá performance. 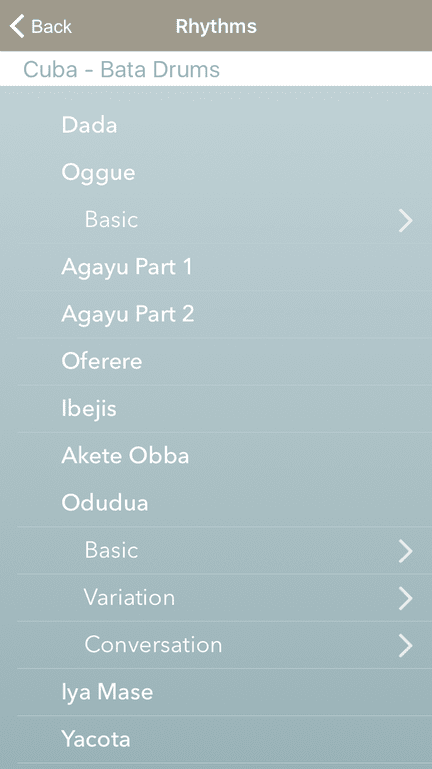 This app puts you in a live playing situation — just like you learned your mother language. You will sound more natural and more alive and you will awaken to new rhythmic possibilities. It’s also a great tool for other musicians, dancers and performers who want to immerse themselves into centuries-old traditional languages. Over the last two years I’ve used the app as an arranging tool as well as to play along with now and then. In addition to videos of the rhythms being played, you can speed up and slow down the audio as well as isolate each instrument by turning it on or off. Each rhythm comes with notation samples and an accompanying description of the rhythm’s origins and any vital information. Along with Cuban Batá and the popular Cuban rhythms that you’d expect (Cha-cha-chá, Mozambique, Pachanga, Pilón, Guaguancó, Salsa, Songo, Timba, Abakuá, Iyesa, etc. ), the app also has Jaleo, Merengue and Pambiche from the Dominican Republic; Xica, Holandés and Plena from Puerto Rico; Baião, Bossa Nova, Maracatu, and various Sambas from Brazil; Festejo, Zamacueca, Vals Peruano, Landó and Afro from Perú; and Fanga, Saa, Lambian and Sounou from West Africa. And the list keeps growing! PercussionTutor is very easy to use and a must have for any Latin musician, not just percussionists. I only wish this app was around when I was going deep studying Latin American and Cuban rhythms in my early years. You can download PercussionTutor on the App Store for $4.99 USD ($6.99 CAD) and visit PercussionTutor.com for more information. 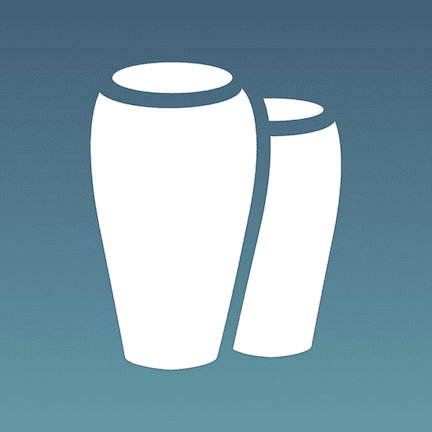 PercussionTutor iOS App was published by Daniel Menjívar on February 29, 2016 at 12:00:30 PM EST and last updated on April 18, 2019 at 4:41:09 PM UTC .